Geneva, Nebraska; July 2005. Permission of Jane Michel; all rights reserved. 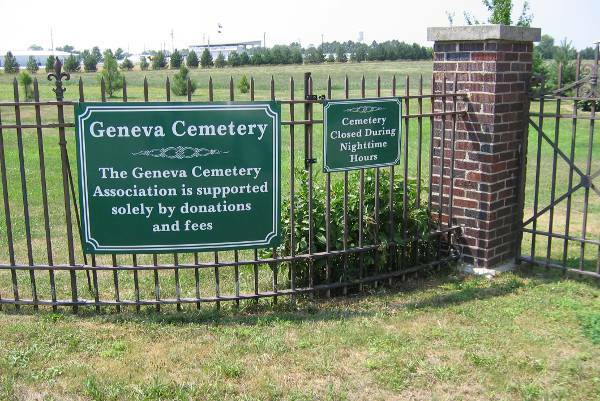 Geneva Public Cemetery is located in the city of Geneva, in Fillmore County, Nebraska. Transcription of grave markers in this cemetery may be found on the Geneva Cemetery Transcriptions page for Fillmore County, Nebraska, maintained by the NEGenWeb Project.